They have below options are opened for client service. By sending a request to our support via your Trader’s Room. By phone +371 67 66 0716 (or by using the free call from our website). Filling the form on the page “Ask a Question”. Fort Financial Services offers different type of accounts for clients, most attractive account is FLEX type Cent account for Newbies. Have a look for all type of accounts are offered by FortFS. FLEX type Cent account: This is a cent account, minimum deposit $5 only, no swaps, no commissions, no maintaining charge or annual charge for account, leverage up to 1000, unlimited deposit option, minimum lot is 0.01 and maximum is 100 lot, floating spread, maximum position allowed up to 100 including pending orders. Most interesting is, if you loss your invest, they will give you back 10% cash back to your account to continue your trading or withdraw. No bonus offer for Newbie account. Fort 4 digit account: Minimum deposit is $5, instant execution within 0.3 seconds, fixed spread starting from 2 points, leverage up to 1000, bonus up to 50%, swap free available, no commission for forex, commission apply only for cfd’s. Minimum lot 0.01 and maximum 100 lot. Fort Standard 5 digit account: Minimum deposit is $5, market execution within 0.3 seconds, floating spread starting from 0.3 points, leverage up to 1000, bonus up to 50%, swap free available, no commission for forex, commission apply only for cfd’s. Minimum lot 0.01 and maximum 100 lot. Fort Pro 5 digit account: Minimum deposit is $500, market execution within 0.1 second, floating spread starting from 0.1 point, leverage up to 100, bonus offer not available for this account, swap free not available, commission applied from $1.5 up to $9. Minimum lot 0.1 and maximum 100 lot. They offered different type of platforms for its clients i.e. Meta Trader 4, Mobile Platforms, Web Platforms. Also they offered Ninza Trader, Binary Option, CQG option. 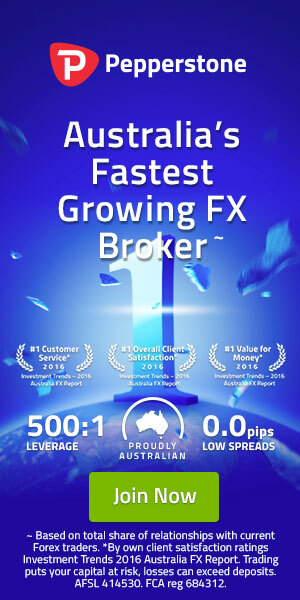 As a registered client and active trader, you can enjoy their free VPS service to use your trading strategy / EA 24 hours without spending any extra cost. This service is available for all clients with account balance at least $1000. Bonus Offer: As a new client, you will get $5 or 500 cent real dollar free in your account as welcome bonus. Also they offered up to 50% bonus on every deposit. So, you can increase your gaining chance with this offer. They offered several e-currency methods for deposit and withdrawal and almost instantly. Deposit is commission free and withdrawal process has some commission from 1% to 2.5% depending on which method you are using. They offered : Neteller, Perfect Money, Web Money, Skrill, Visa / Master Card, Fasapay, Expo Bank etc. Get a free “Pip2Pips Spike Catcher EA” and try on 4 digit account or cent account during any high impact news release. Thanks to stay with Pip2Pips. Wish you Happy Forex Life.